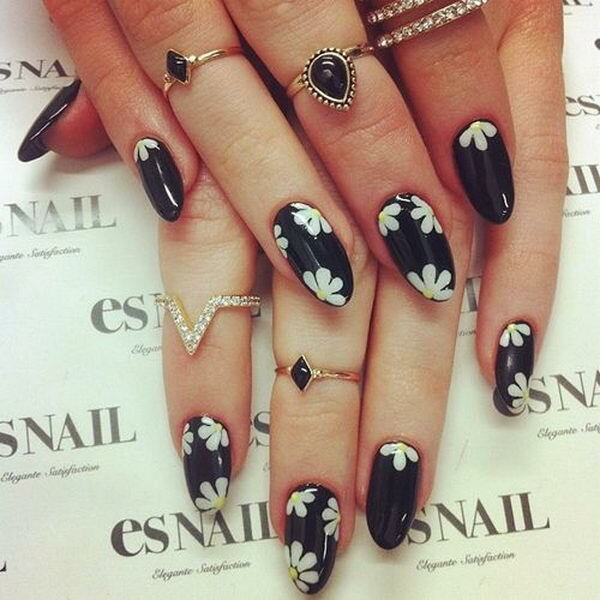 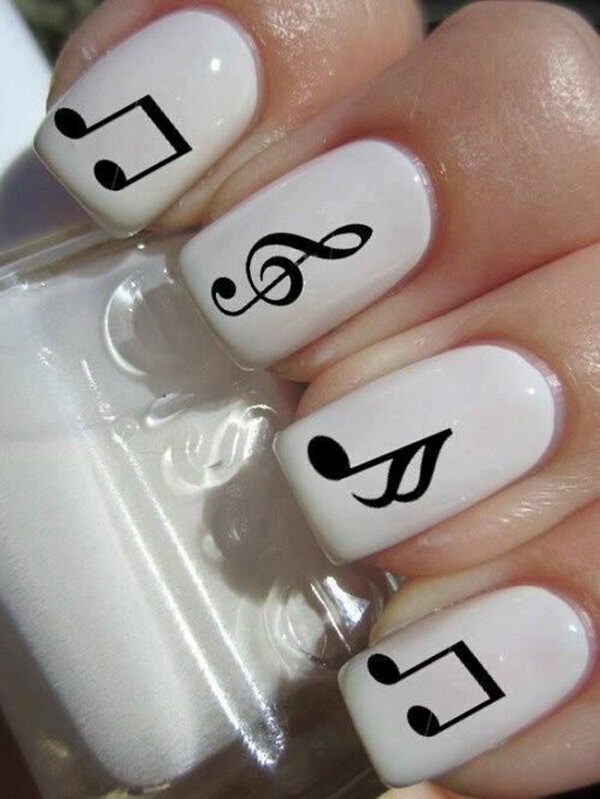 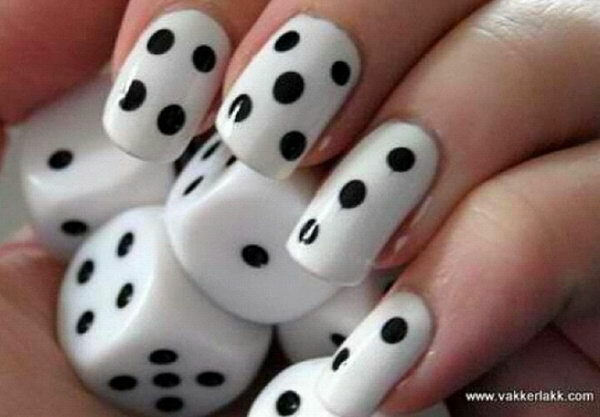 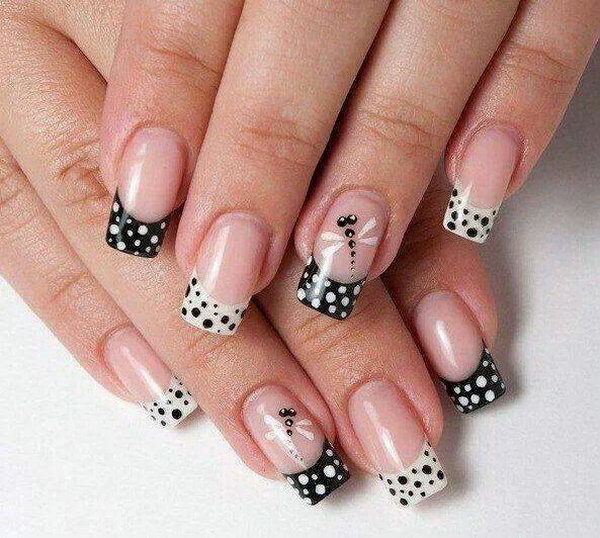 Ladies’ nails have always been an important dimension of beauty and fashion. 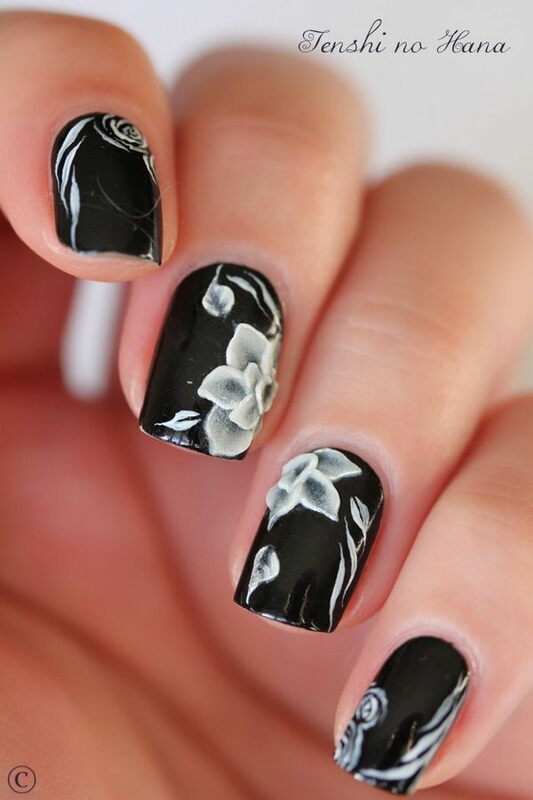 You can draw anything using the power of colors from the nail polishes in your collection as you like. 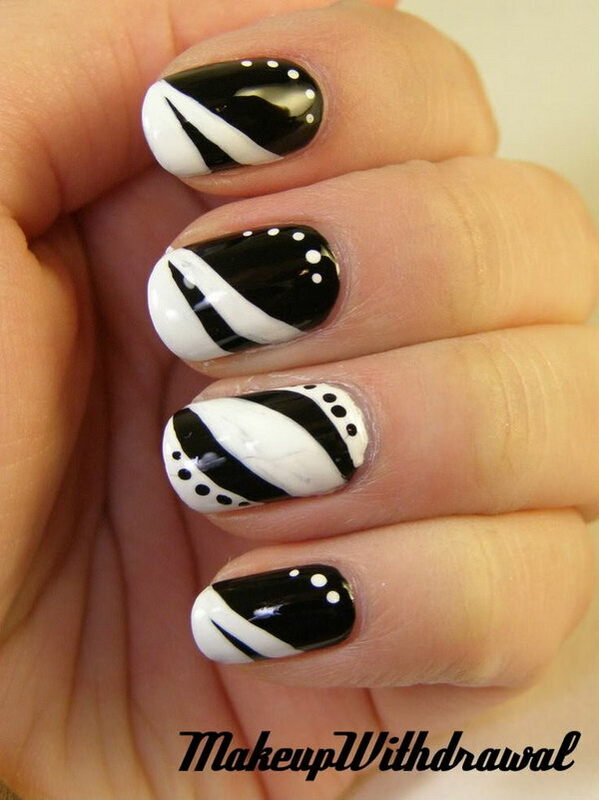 Among various colors, black and white colors are a perfect and classic combination. 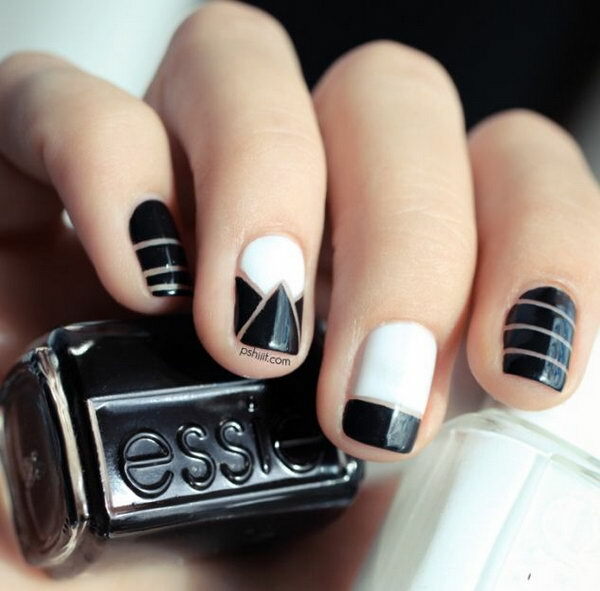 Manicures of this color combo also have become a huge fashion trend these days. 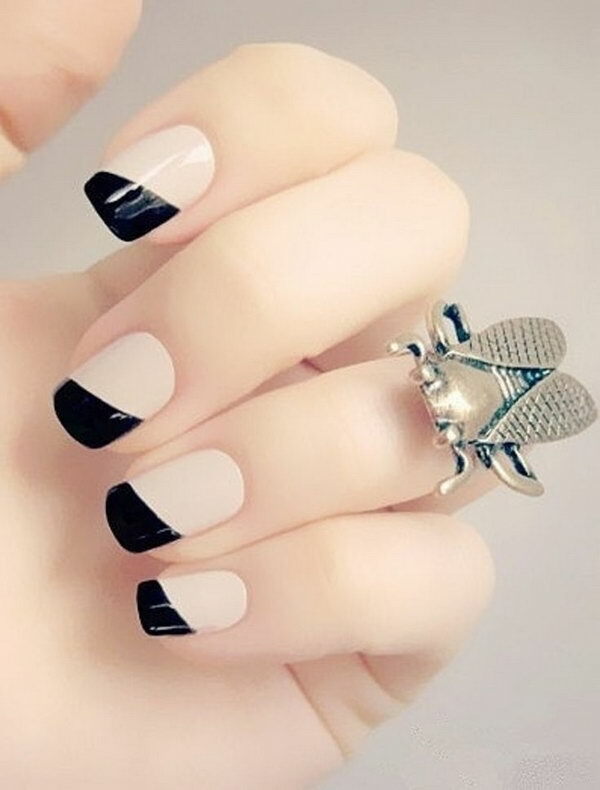 Opting for a black and white manicure is a classy and chic option when looking to make a fashion statement with your fingers. 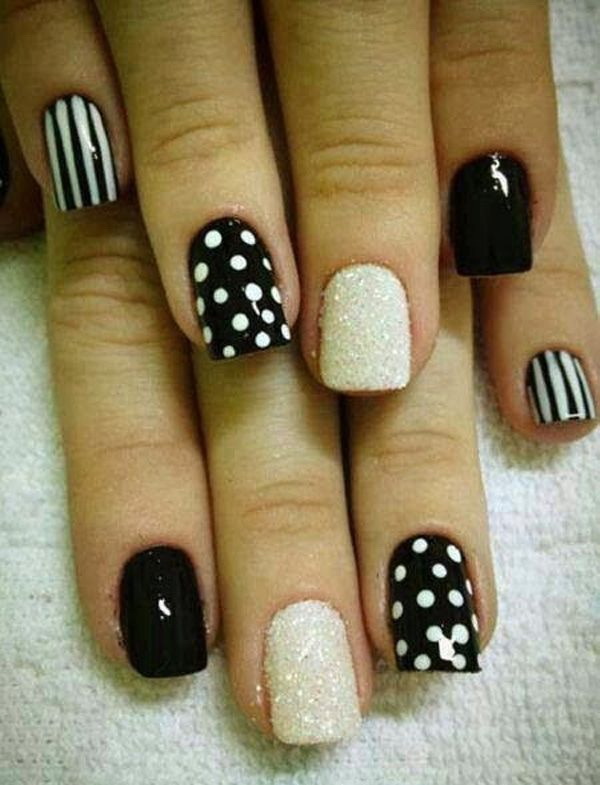 They are the most common and bold colors to try and have always been most women’s favorite nail coloring. 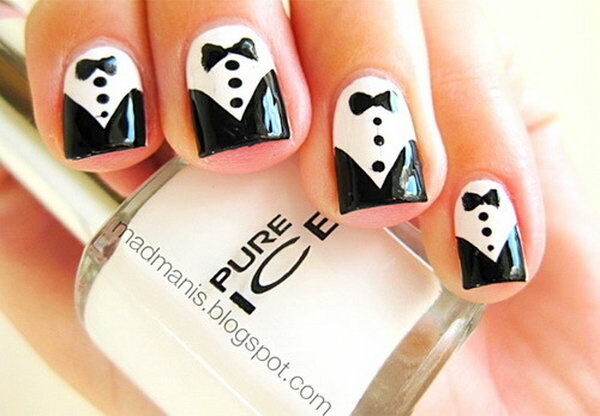 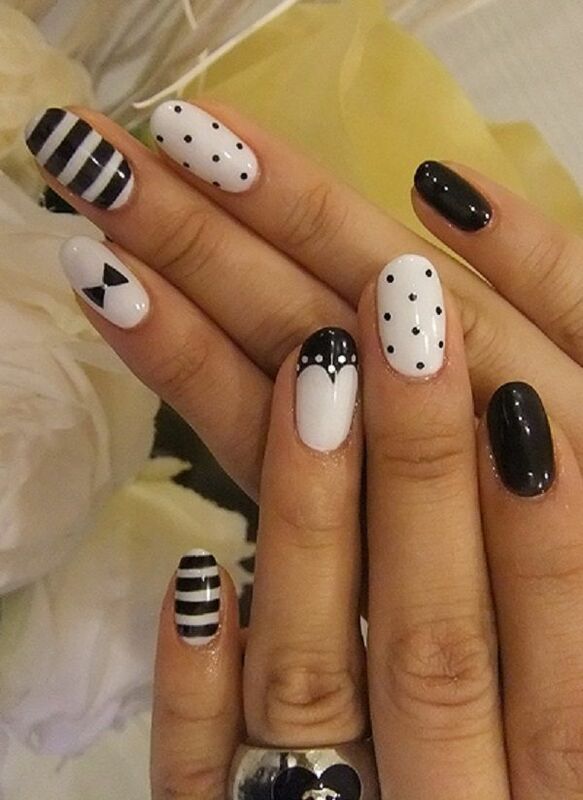 Black and white colors are a perfect match for any parties and they match with any outfit you are going to wear. 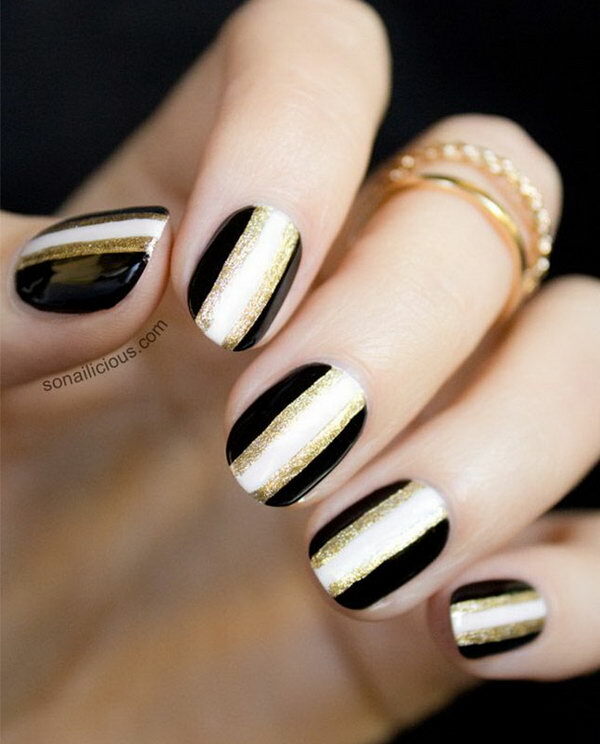 At the same time, there are universal meanings and mood implied behind these two colors. 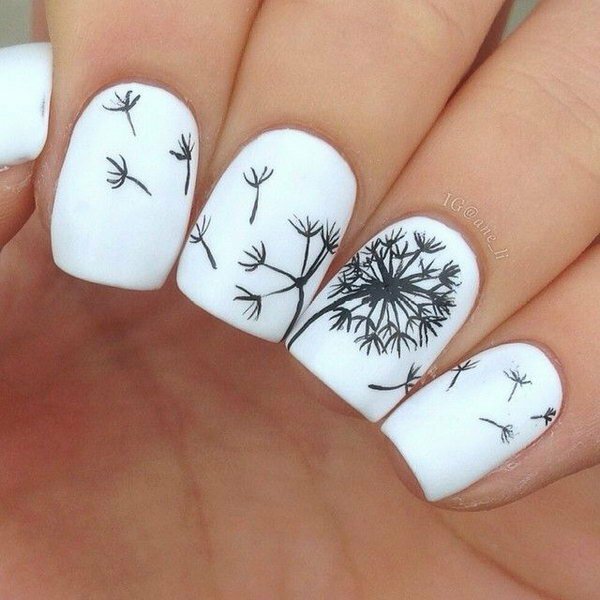 White is the color of snow, which is often related with purity, peace, innocence and wisdom. 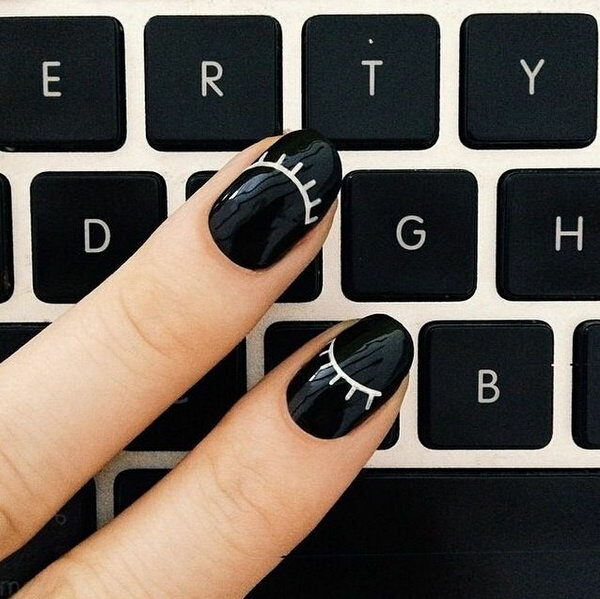 Black is the color of darkness. 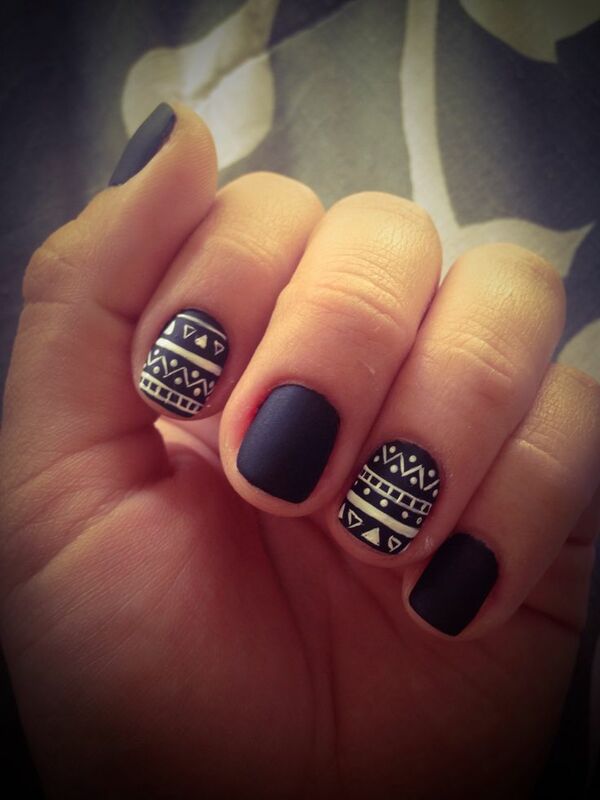 It represents various meanings such as elegance, mystery, sexuality, evil, sadness, etc. 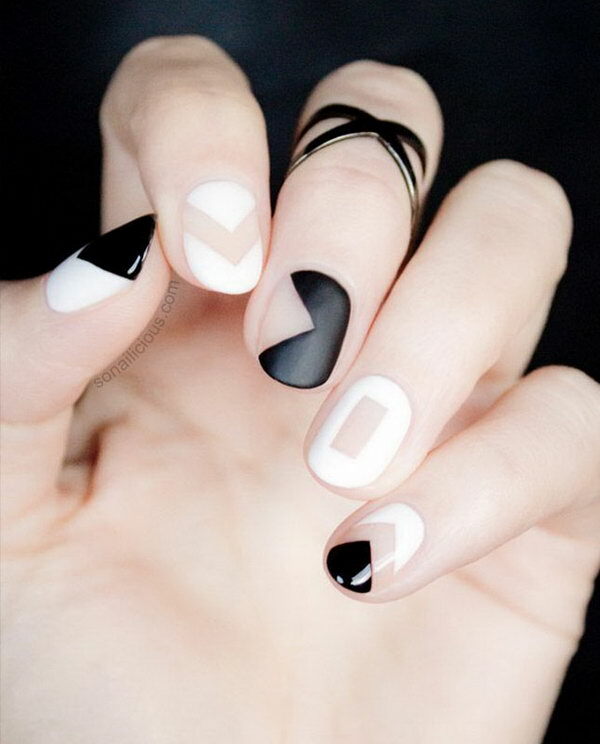 The inspiration of these two visible colors all come from the nature. 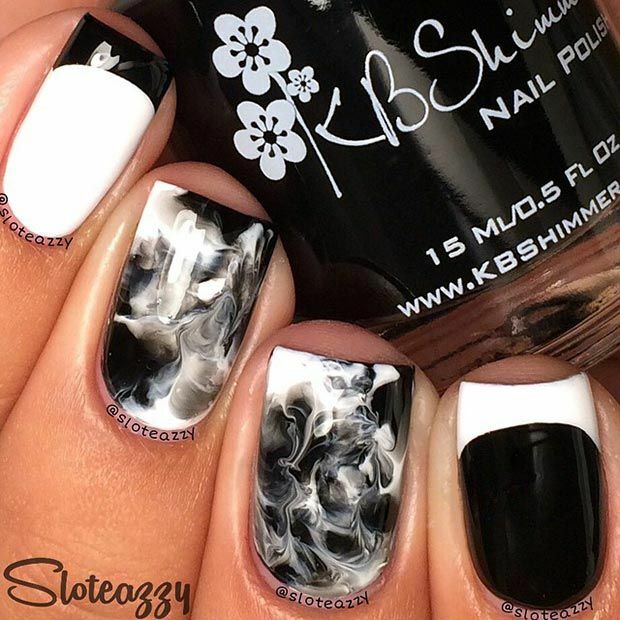 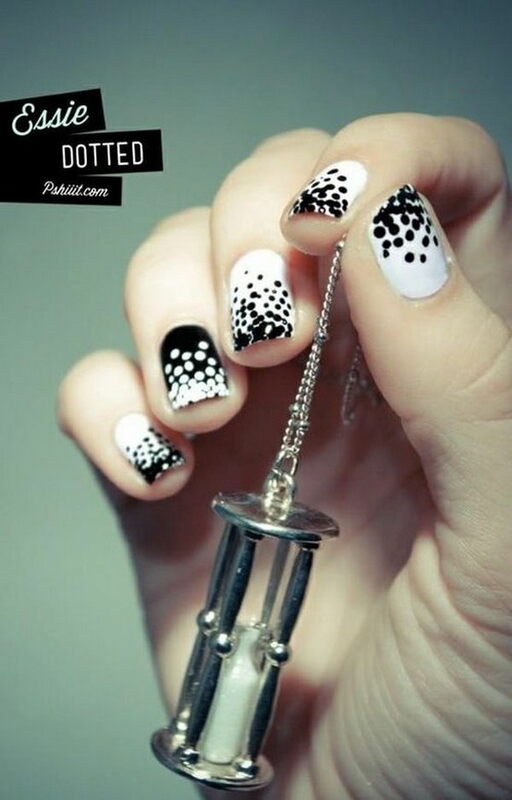 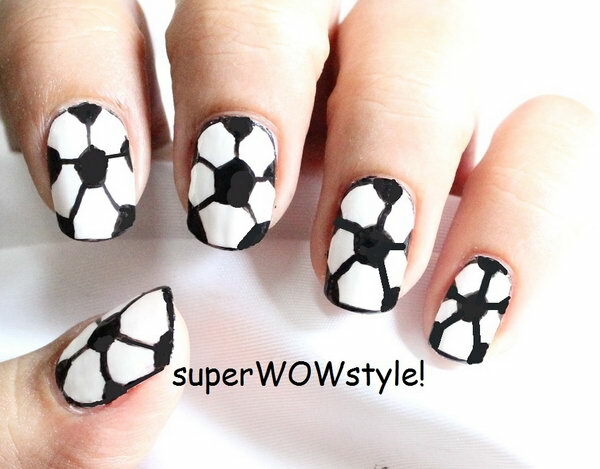 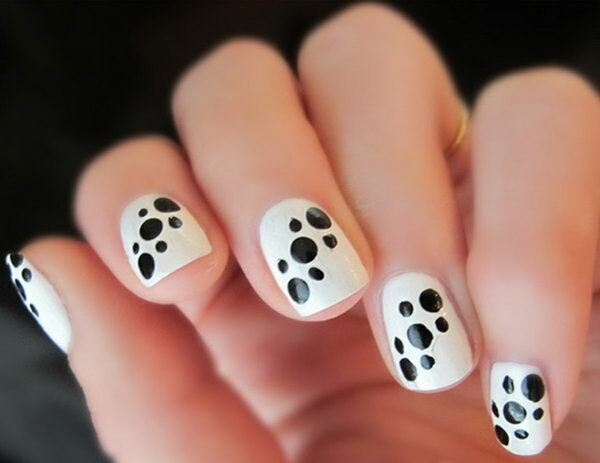 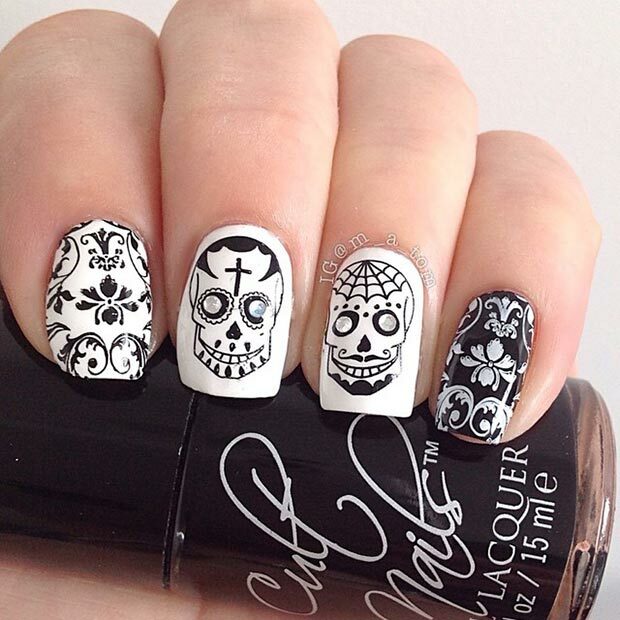 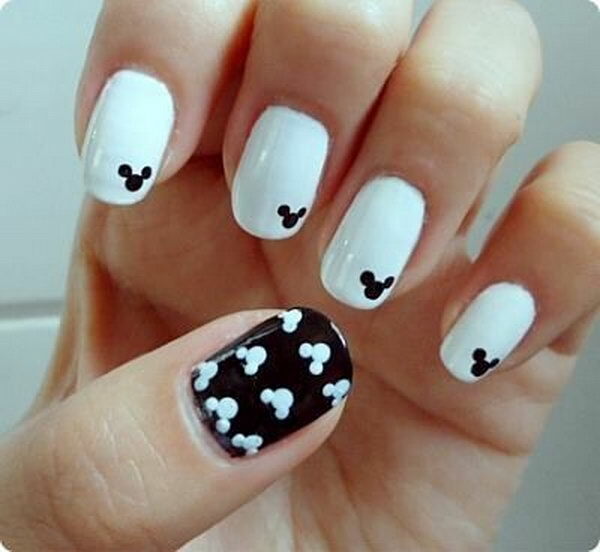 In this post, we have rounded up some examples of black and white nail art designs for your inspiration. 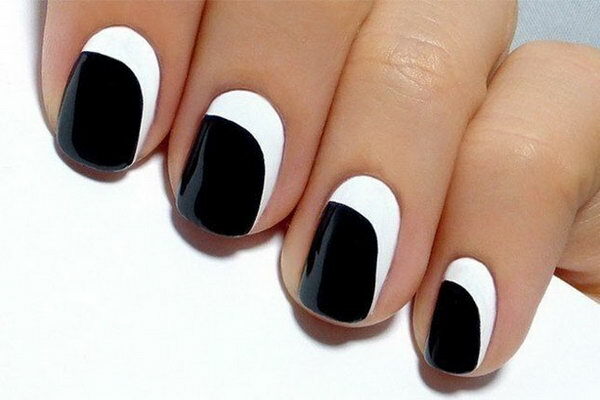 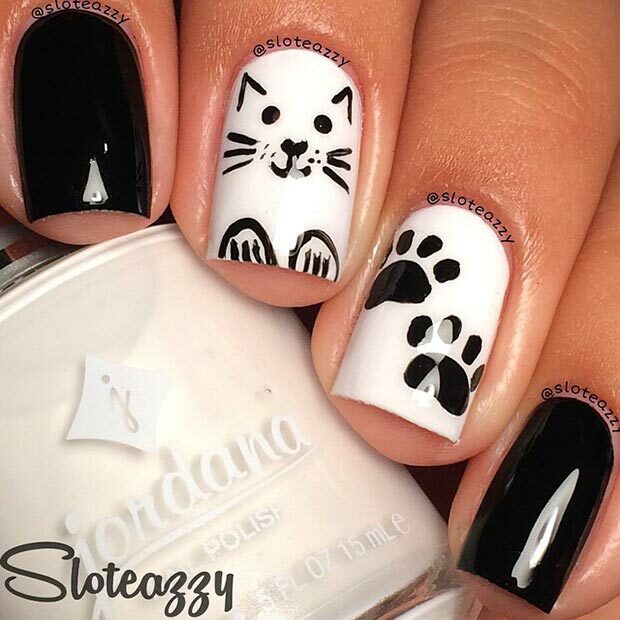 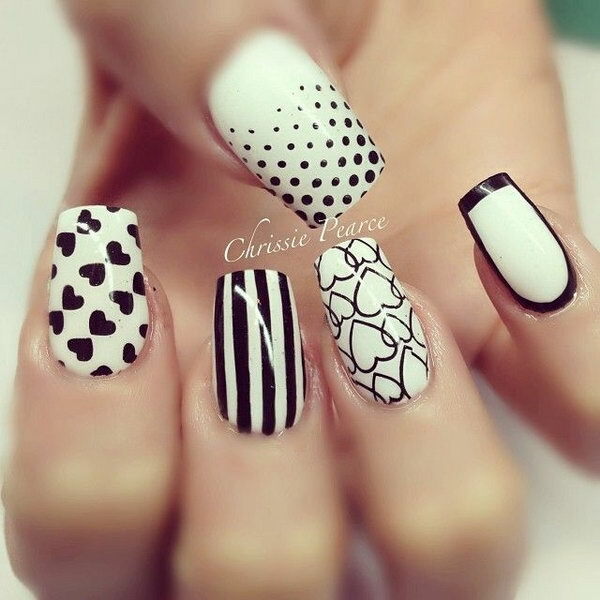 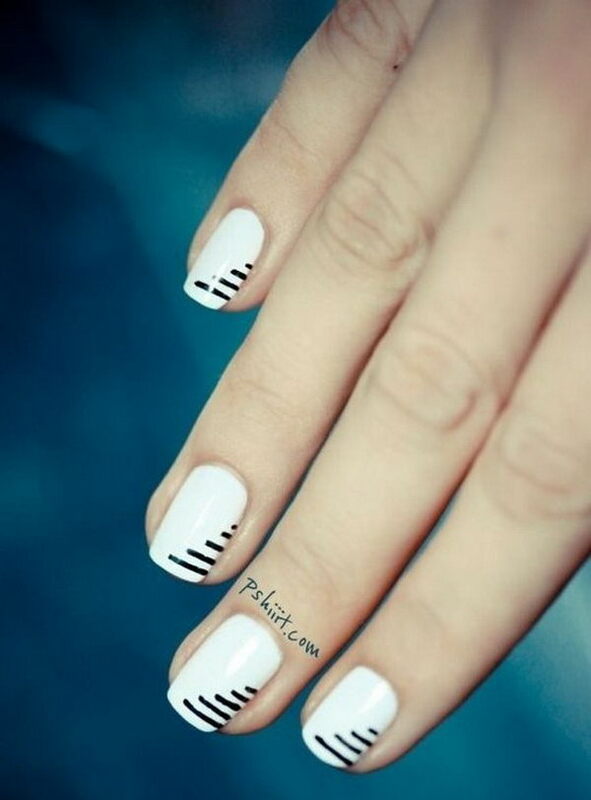 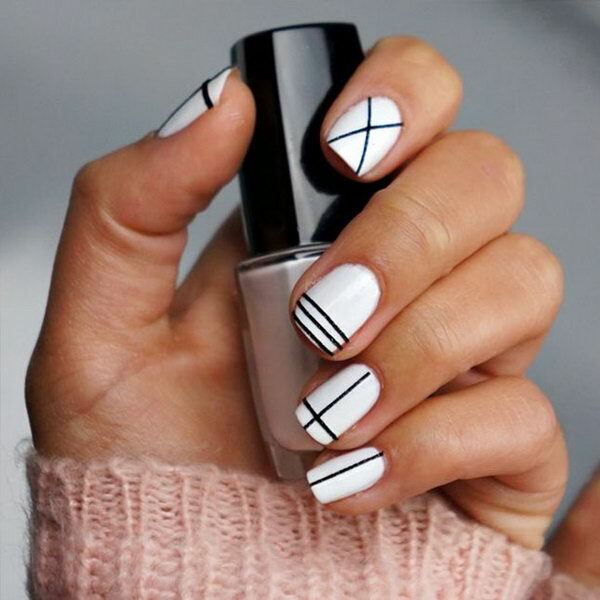 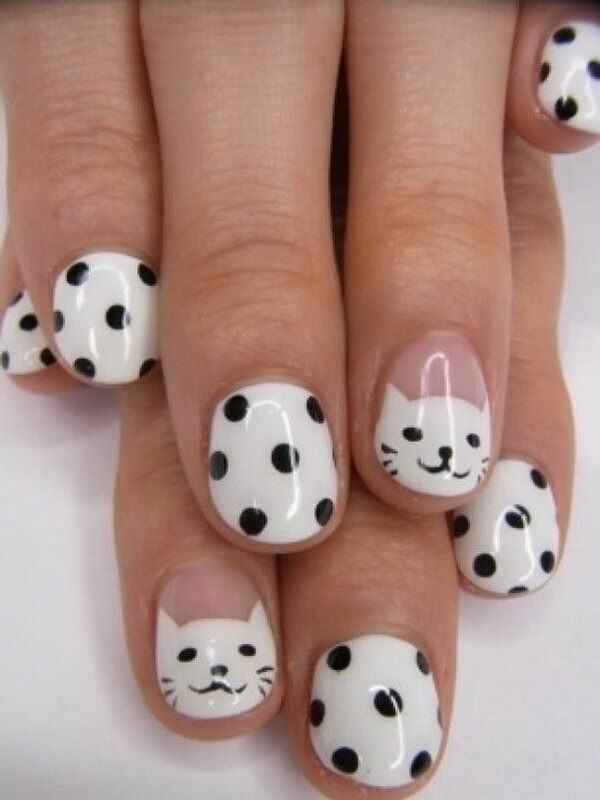 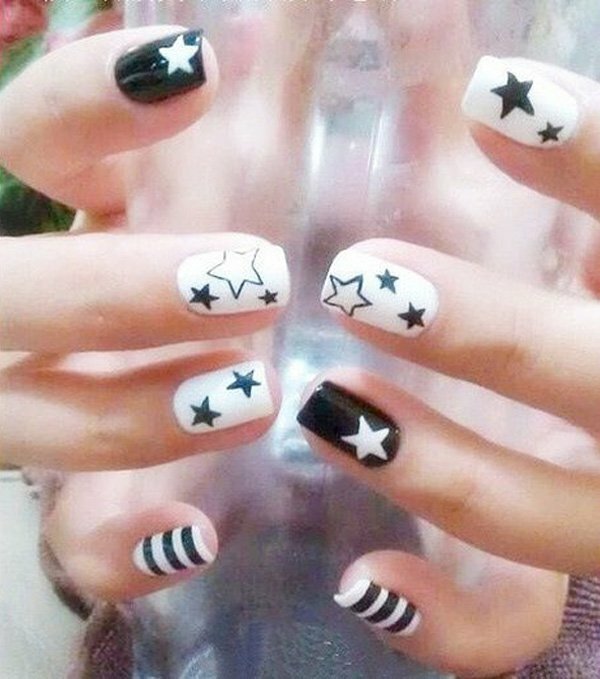 If you ever wondered how black and white works in nail polish or want a stylish and classic nail look, just take a look at this collection of fabulous black and white nails designs. 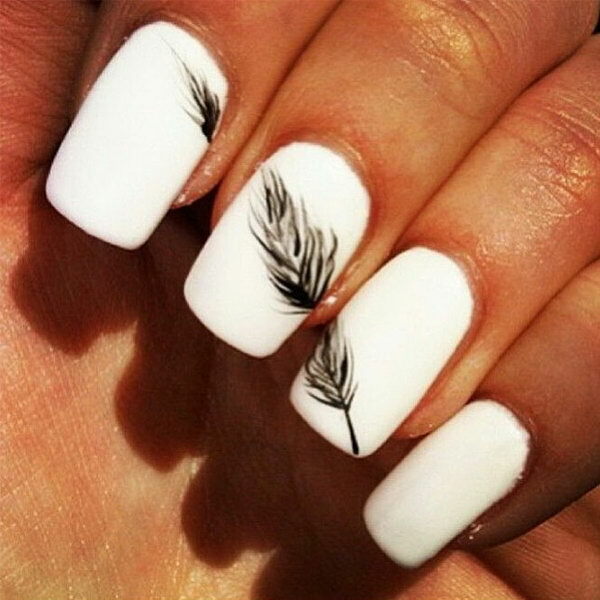 They will surely freshen your creative juices.